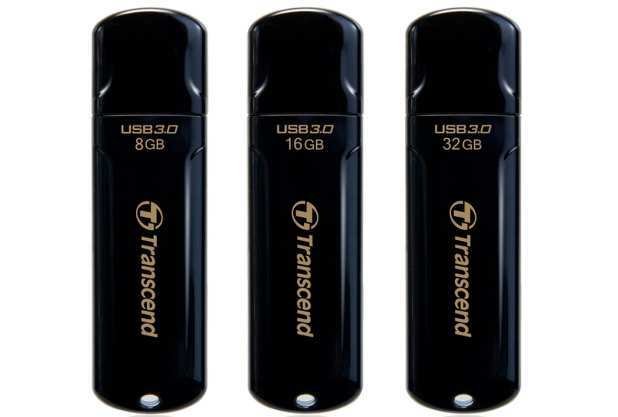 Transcend has launched its latest USB flash drive, the JetFlash 700 (JF700), that is designed with a USB 3.0 interface. Aimed as an entry-level product, the Transcend JetFlash 700 is priced attractively, starting at Rs. 1,300 for 8GB. [RELATED_ARTICLE]Of course, while the SuperSpeed USB 3.0 specification offers blazing fast data transfers, you will require the correct hardware in the form of a motherboard that supports the technology, to be able to make use of it. The Transcend JetFlash 700 promises data transfer rates of up to 70MB/s, up to ten times as fast as Hi-Speed USB 2.0 specification, and also has a sturdy and rugged exterior that is constructed using ultrasonic welding technology.